Juventus wanted to sign Inter striker Mauro Icardi before the club acquired Cristiano Ronaldo from Real Madrid, according to sporting director Fabio Paratici. Massimiliano Allegri's side won a seventh Serie A title in a row in 2017-18, yet Paratici has revealed how the Champions League quarter-final exit to Madrid in April had resulted in the board seeking a way to shake up the squad. It was during the second leg of that tie that Juve first received encouraging signs from Ronaldo's agent Jorge Mendes about his client wanting to end his time in Spain and move to Turin. However, Paratici has said that the club were also considering buying Icardi from Serie A rivals Inter. "We had a meeting, it was early June," Paratici explained to Gazzetta dello Sport. "I had a thought about [Gianluigi] Buffon leaving, the team having won seven championships, and having had a tough Champions League exit. So something had to be done to motivate the squad. "I met with [chairman] Andrea [Agnelli], [vice chairman] Pavel [Nedved], and we all agreed. We must give the entire environment a shock. A positive shock that can project Juventus over certain limits. "There are two ways to motivate the team. The first way? It was to buy Icardi and unleash an incredible fiasco, or we can sign Cristiano Ronaldo." 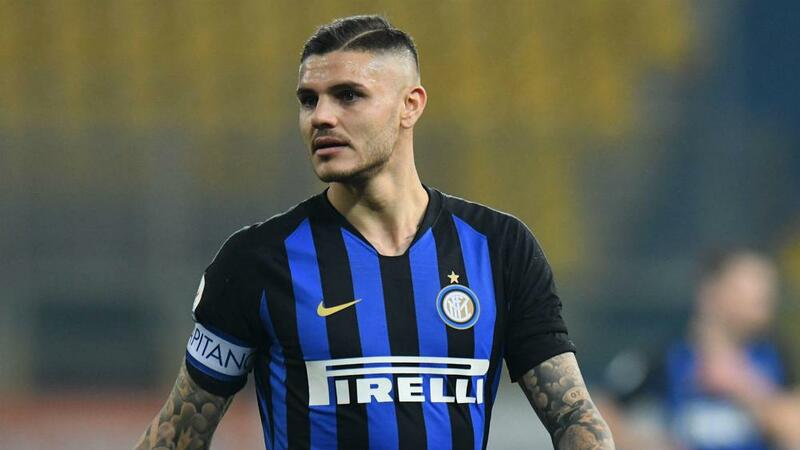 Icardi, who has scored 109 Serie A goals since joining Inter in 2013, continues to be linked with a move away from San Siro despite his deal not expiring until 2021. One man who Paratici does not see leaving his current club is Juve forward Paulo Dybala as the sporting director sees no better options out there for the Serie A champions. "Those who leave are those who want to," Paratici added. "I repeat our squad is difficult to improve. Who do you get that is better than Dybala? It's difficult to sign [Lionel] Messi. Even with Neymar I'd have doubts. Dybala is someone who is always there, until the end." Paratici also confirmed Juventus were one of the clubs monitoring Ajax's teenage defender Matthijs de Ligt. "De Ligt is surely one of the best young players out there and we are following him with great attention," he added.